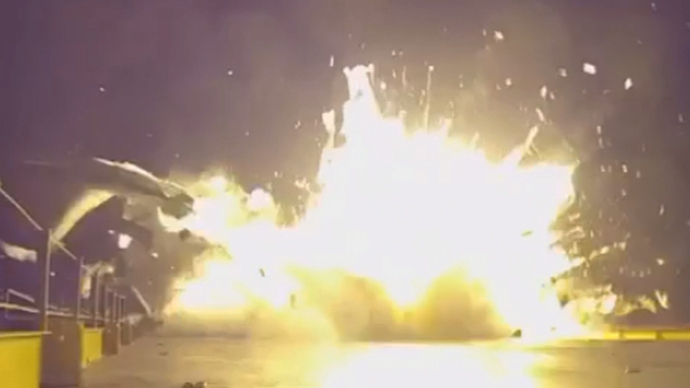 A leaked GoPro video appears to show what exactly went wrong with the reusable first stage of the Falcon 9 rocket when landing on April 15, after it successfully launched from Cape Canaveral. The video published on YouTube on Friday was apparently leaked from the SpaceX Company. As is clearly seen on the video, landing is coming in fast, yet targeting appears to be perfect and the boosters are working. 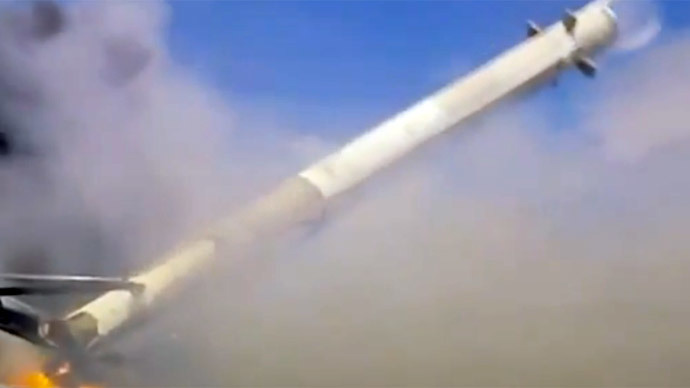 However, excessive lateral velocity appears to have prevented the first stage from finding a balanced position and despite frantic efforts of thrusters in the upper part of the first stage, the rocket gave a lurch and tipped over into the ocean, devastating the platform with a rocket-fueled explosion. 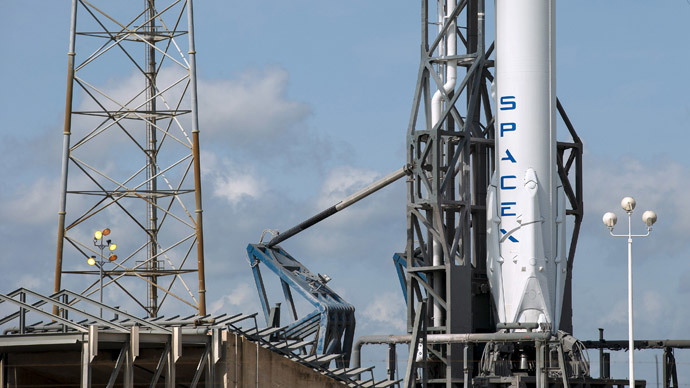 In January, another SpaceX attempt to make history by landing its potentially reusable Falcon 9 booster on a floating platform also failed. The company went public with a video on this occasion. Yet unlike the latest attempt, January’s landing was an evident failure, as the booster “hit the target” literally, without making the much-anticipated attempt to land softly. Seen in this light, it represents progress and a step forward: the operation was nearly completed successfully, everything was taken into consideration except the factor of excessive cross-wind. SpaceX CEO Elon Musk is expected to keep on trying and is confident of success some day soon. On April 27, a Falcon 9 is expected to launch Turkmenistan's first communications satellite into GTO orbit.